Preventive maintenance (PM) consists of scheduled servicing, inspections, and vehicle repairs to prevent potential problems and maximize vehicle availability. It is used in fleet management to proactively avoid or reduce vehicle breakdowns and is based on time, mileage, engine hours, or gallons of fuel used. Call us today to obtain additional information about our services or to schedule a service appointment. As a good rule of thumb, we suggest you have your car serviced every twelve months or 12000 miles, whichever comes first. Heavy car users, who drive many miles a year, should aim to have at least an interim service every six months or 6000 miles. If you drive a newer car, it probably has an in-vehicle maintenance reminder system that makes mileage-based schedules obsolete. In-vehicle maintenance reminder systems take a number of vehicle operating conditions into account and provide an alert on the dash when it is time for an engine oil change, fluid level checks, component inspections, and other car maintenance services. If your vehicle has one of these systems, trust it to guide your maintenance visits. However, if you don’t put many miles on your car, most automakers recommend an oil change service every 12 months, even if the maintenance reminder hasn’t come on. A motor vehicle service or tune-up is a series of maintenance procedures carried out at a set time interval or after the vehicle has traveled a certain distance. … A complete service history usually adds to the resale value of a vehicle. Here are some basic car maintenance tips that car owners should follow and practice. 1.) Check engine oil – Checking the level of your engine oil is the most important thing you should consider before riding your car or traveling to far places. The car’s engine consists of many moving parts which definitely need a good level of lubrication to protect them from untimely wear. There are two kinds of engine oil: a monograde which is the ordinary one and a multigrade which is a special formulated one with additives that protect your engine providing you more mileage before undergoing change oil. 2.) Check engine level coolant – Before leaving your place, it would be best to check your coolant level to prevent any high temperature problem that might lead to engine overheating. When your car starts, the process of engine combustion takes place and it reaches a thousand degrees, especially in the combustion chamber and that’s when the engine coolant works. From the radiator, it passes through the coolant chamber inside the engine taking some of the heat off. As it passes through the different coolant or water chamber, it returns from the radiator completing the automotive cooling process. Some units use ordinary tap water but it would be best to use coolant to protect your engine. It’s a mixture of ordinary tap water with a special formulated coolant that protect your radiator from what they usually call “scale” that may damages or clog your radiator. 3.) Make sure electrical system and tires are in great condition – Make it a habit to check your electrical system and see to it that all important lights like head light, signal light, and park light are functioning well. This should be done to avoid car accidents and to avoid additional damage to your car. Checking your tires is also important before you go on a trip. Check for any flat tire and make sure to bring along a spare tire especially when going for a long trip. 4.) Check car gauges – Start your engine and check if the voltage gauge, fuel gauge, oil pressure gauge, air pressure and temperature gauge is in normal condition. For voltage gauge, after turning on your key you will notice that it reaches 24V but once you start your engine, it would increase from 24 to 28 Voltage, if not, there might be something wrong with your battery or your alternator. The fuel gauge gives you an idea whether you already need to refuel or if the fuel is still enough for the whole trip. It’s hard to get stuck in the middle of the road just because you haven’t noticed that your fuel gauge is almost empty. As you start your engine your oil pressure automatically moves out but as soon as the engine heats, it would automatically would go down to its normal level and thus indicate that your car is in good condition. The temperature gauge shows the temperature of your engine. The normal temperature of an engine is one half of the gauge in flat lying area, but once you reach an inclined plane, your normal temperature reaches 3/4 of your gauge. 5.) Check battery and brake system – A car battery’s life usually depends on how often the owner uses the vehicle and on the road he usually travels. Make sure to change your battery as soon as it’s necessary to avoid further damage to the engine. You should also check your brake system and make sure that your brake fluid is still enough and that your brakes are really functioning so as to avoid accidents. 6.) Go to a car repair shop – Once you noticed that there’s something wrong in your car and that even when you thoroughly checked your unit you can’t seem to find the trouble, you should send your unit to a repair shop immediately. This should be done to avoid further damage to your car and to make sure that every part of your car is functioning well. Not only that, you should visit a repair shop once in a while for tire alignment, change oil and other basic maintenance services that are necessary for your unit. Like any machine, cars need regular maintenance and care to operate properly. One of the greatest dangers to driver and passenger safety is a poorly maintained vehicle. Vehicles that do not receive regularly scheduled maintenance are unreliable and may malfunction while running, possibly causing an accident. When you decide to purchase or lease a car, make sure you know how often to check all parts and fluids for maintenance needs. Your owner’s manual will have a schedule of recommended maintenance, either by mileage or time. When a car is not properly tuned up, it could experience internal damage that puts the driver at risk. Even small internal damage could turn into a much bigger problem later on. A car has hundreds of parts that must all work together for the vehicle to run smoothly. 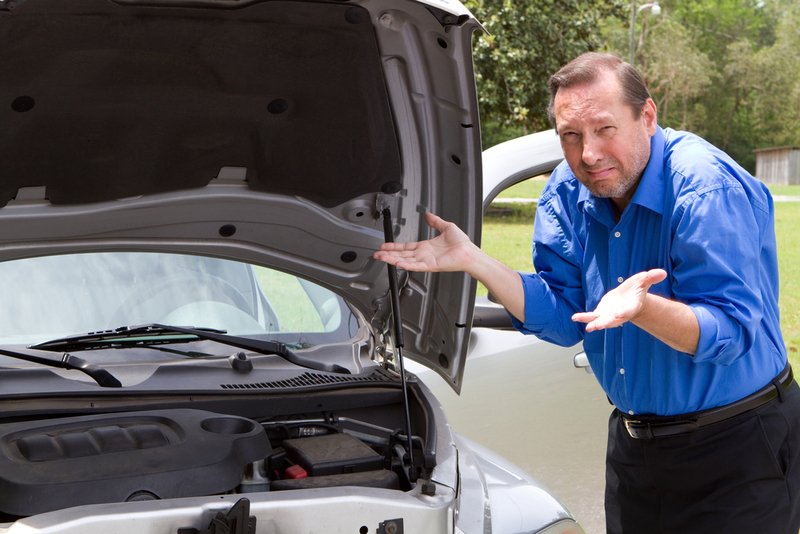 An issue with one part could cause other parts to fail, leaving you stranded on a drive or causing a severe accident. Additionally, a small problem that may cause major internal damage will be much more expensive to fix later. The time line for a checkup depends upon the part in question. 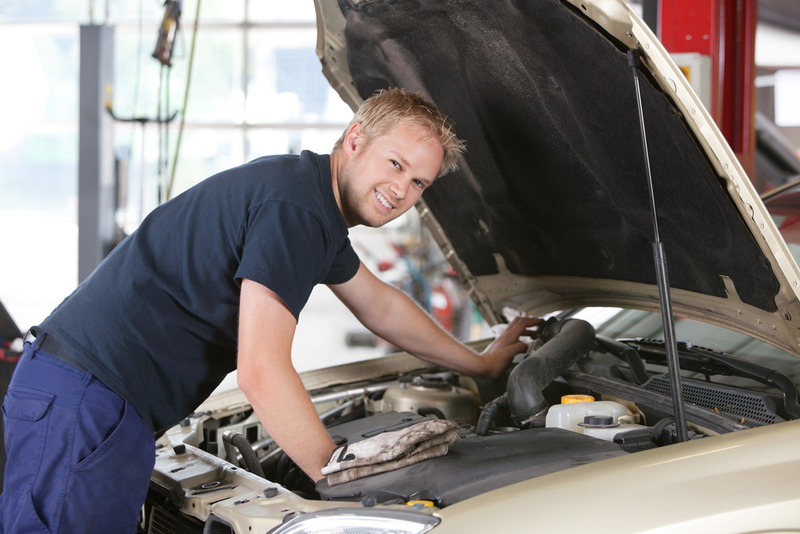 Generally, it is recommended that you take your car in for a tuneup every 3,000 miles. Your vehicle’s oil should be changed at each of these tuneups, and other fluids such as brake fluid, power steering fluid, and transmission fluid should all be checked for leaks or dirty fluid. Tires should be checked and rotated every 7,000 miles or so to ensure that they do not wear unevenly, which increases your chance of getting a flat or blown out tire. Consult your owner’s manual for other guidelines regarding maintenance. The answer to the question will vary, and are you taking your car in for an interim service (usually performed every 6 months or 6,000 miles) or a full service (usually carried out every 12 months or 12,000 miles)? An interim service usually takes about an hour and a half and a full service is usually completed within 3 hours buty can vary and be shorter or longer depending on the make and model. The length of time it takes to service a car depends on the service being carried out on the car and whether or not any problems are found which require additional work. Typically, a car service should take no longer than three hours to complete. Of course, an interim service will take less time to complete than a full service. A major service will take longer than both. However, if you bring your car in when the service centre opens, we should be able to have your car ready to collect at lunchtime. We’ll call you to let you know when it’s ready for you. Vehicle maintenance and servicing is one of the best ways to keep your car in a flawless condition. Remember, your vehicle needs to undergo a maintenance check up every month. With the right maintenance and servicing it will last for a long time and you will also enjoy a smooth drive. Preventing car repair is an issue that many drivers overlook until they start to experience problems. As long as their car gets them where they want to go, they try not to spend money on it. However, preventing auto repair issues can typically be accomplished by simply following the maintenance service schedule at the recommended auto service intervals. It will actually save you money in the long run. Sometimes car owners don’t know where to begin to service their car. The basic things that all cars need are fairly simple. Every vehicle has a unique service schedule. Consult your owner’s manual for the recommended service schedule, or be sure to ask your mechanic for expert advice. If you have a used car without a manual, most car manuals can be found online in PDF form and downloaded as needed. Follow the maintenance service schedule at the proper mileage and time intervals. It will help avoid emergency auto repair that can be quite costly by taking care of potential issues before they become big problems. Some vehicle owners might ask, “How long does car service take?” Knowing that information can help them plan the service carefully around their busy schedules. No matter how long car service takes, it is important to take the time at your convenience rather than wait for an unexpected auto service to come up. It’s recommended that you check your car’s oil levels every week to keep things running smoothly between your six-monthly services. To correctly check your oil, follow these easy steps: Make sure your car is on a level surface, and the engine is cold. Remove the dipstick and wipe with a clean cloth. Many car manufacturers have extended the oil change service interval mileage and this has caused many questions from our clients as to what the correct oil change interval should be. Modern oils have increased engine life and protect other vital components better than ever and many engines are now coming with change intervals as high as 12,000 kilometers. These kinds of service intervals do not come without some concerns for us based on our experience servicing thousands of cars every year. 1. Engines still consume oil and running out of oil is catastrophic to the engine, most people never check their oil, and we see engines several liters low on oil ALL the time. Waiting for another thousand kilometers may have run them completely empty. 3. Changing the oil frequently will prolong the engines life. 5. Dirt, moisture and other contaminants build up in oil just as fast as they used to, and can cause drastic consequences if left in the engine too long. 6. No two cars are driven exactly the same way and the extended intervals are based on ideal conditions, that many of our cars never see. 7. Most vehicles only get a maintenance inspection when the oil is being changed, inspection of filters and items that wear with age, twice a year is our recommendation to keep your car safe and reliable. Engines still consume oil and running out of oil is catastrophic to the engine, most people never check their oil, and we see engines several liters low on oil ALL the time. Stop by or give us a call for your next oil change. ASE,(National institute for Automotive Service Excellence) national, non-profit organization, was founded with a single mission: To improve the quality of automotive service and repair through the voluntary testing and certification of automotive technicians. ASE also communicates it’s message to consumers, the media and various other publics to promote informed decision making when seeking automotive repairs. ASE was founded in 1972. More than 430,000 ASE-certified automobile, truck and collision repair technicians, engine machinists and parts specialists work in dealerships, independent shops, service stations, auto parts stores, fleets, schools and colleges. There are many ways to compare and evaluate mechanics one against another, but one key way is to select an ASE Certified Mechanic. The certification has been in existence since 1972 and here’s all you need to know about why you should only select an ASE Certified Mechanic to repair your car. 1) ASE Certified mechanics have to pass a specialized exam. 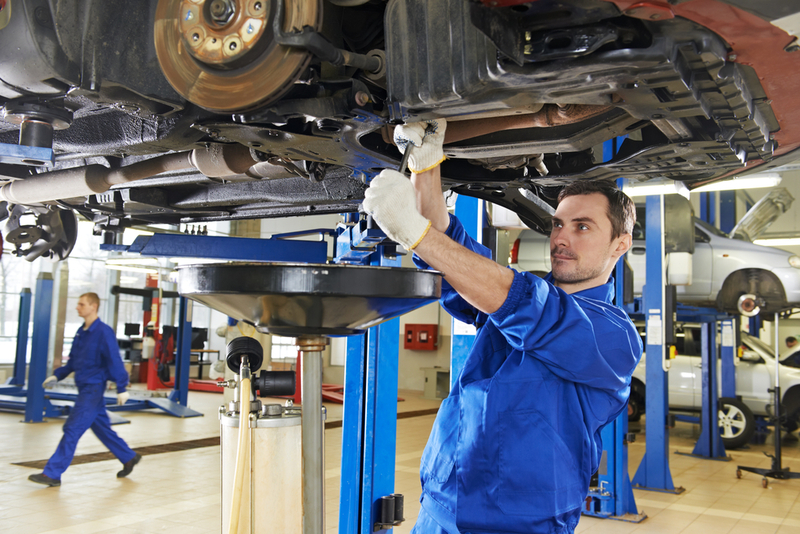 There are eight different specialties available for a mechanic to choose to be certified in. The specialization could be in specific areas such as: engine repair, automotive trans/transaxle, manual drive train and axles, suspension and steering, brakes, electrical/ electronic systems, heating and air conditioning, or engine performance. Now, just passing an exam doesn’t necessarily make a mechanic qualified to work on your car; however, it does show that they have been educated in the specifics of how to diagnose and repair the components contained within their chosen specialty. 2) To be ASE Certified, you can’t just pass the exam. They have to pass a test and then work in the field for at least two years before they are eligible to be certified by the ASE. 3) The ASE also has higher levels of education, seriously, for mechanics. That’s something to be impressed with in any profession. The ability to, and the subsequent decision to pursue continuing education to become a Certified Master Mechanic shows me that this mechanic both loves his craft and appreciates that it’s an ever-changing field with these fast-paced technology advancements in the auto-making industry. An Master Mechanic has passed all eight specialty exams! In addition to the training and work-requirements, an ASE Certified Mechanic is held accountable to a commitment he or she has made to only engage in ethical business practices. A mechanic we can trust! 5) ASE Certified Mechanics are sought after by the most reputable dealerships and garages. For your peace of mind, look for auto repair shops that have ASE-certified mechanics on board. This certification will let you know if the mechanic is qualified to do specific car services such as oil changes, tune-ups for manual cars, brake repairs and everything else under the hood. Annually, an estimated 100,000 automotive technicians take ASE certification exams each May and November at over 750 locations. All ASE certifications have expiration dates which require technicians to re-test every five years to keep up with technology and to remain certified. The National Institute for Automotive Service Excellence runs a comprehensive program to certify trained personnel. An ASE certified mechanic must pass a comprehensive exam, have two years of on the job training and work experience, and must pass a refresher exam every five years. The best mechanics can shoot for the Blue Seal of Excellence Recognition program and specialize in key automotive areas, such as an automobile, medium/heavy truck, truck equipment, school bus, collision repair, and more. One of the best reasons to stick with a certified professional for your auto repair and maintenance needs is safety. 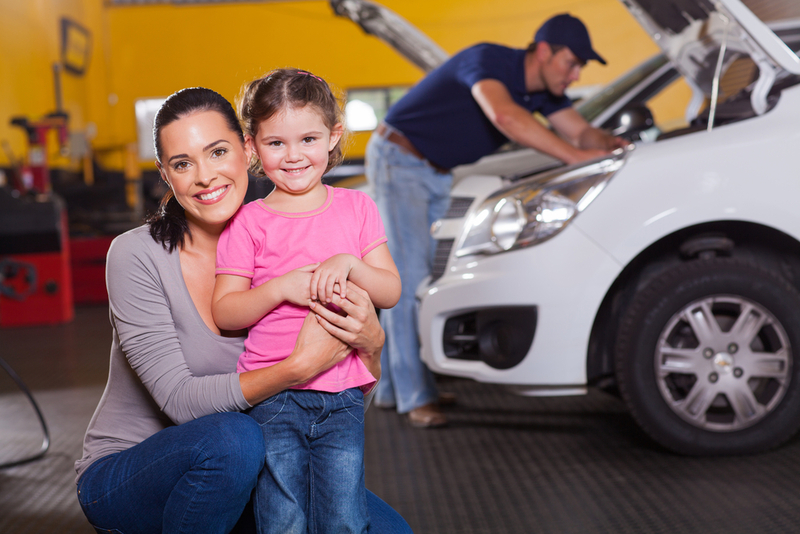 Having a well running vehicle is important to you and your family’s safety. Breaking down on the road can be a dangerous situation and breakdowns always seem to occur at the worst place and at the worst time. You can’t prevent 100% of break downs ahead of time, but you can certainly play it safe by having a professional perform regular preventative maintenance on your vehicle. We recognize that our customers lead busy and often hectic lives. It is hard to find time a good mechanic in the Riverside CA area to get your car in for service or an oil change. But what if you could have work done by a professional auto repair shop? Well now you can. Autotech is open to take care of all your auto and truck needs. What sets us apart from the rest of the shops out there is the kind and caring service you deserve. We take pride in knowing that our reputation speaks for itself. Honest service at a fair price. At our Riverside,CA auto repair shop, your car will receive fast, expert service from our ASE-certified technicians. Autotech Service Auto Repair Shop is a locally owned and operated business committed to delivering honest, friendly service. In addition to our comprehensive services, we go out of our way to provide excellent customer service. That’s why we offer shuttle service. 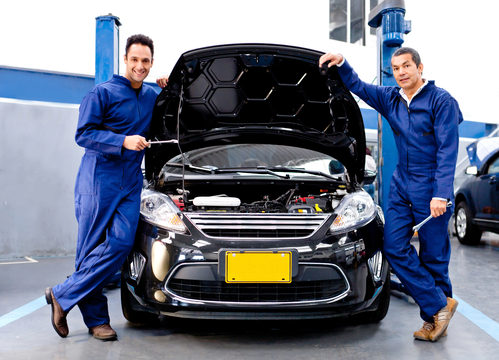 The highly skilled team at Autotech Service Auto Repair Shop looks forward to earning your continued business. Finding the right auto repair service in Riverside,CA just got a whole lot easier. Our growing reputation as the best automotive service center in Riverside means everything to us. When you bring your vehicle to Autotech Service, you can count on an honest deal at a fair price. Every time! The modern automobile is a computer on wheels. Unlike your home computer that receives its input from a mouse and a keyboard, your car gets it from you doing things like turning on the ignition, stepping on the accelerator or the brake, or placing the transmission lever in one range or another. It also collects data from outside sources such as vehicle speed, engine, and outside temperatures and even how high you are above sea level. All of these factors and many others dictate how the engine will run under varying conditions, how the transmission will shift, and even how the brakes, steering, and other safety devices will react under difficult conditions. Many cars today can even monitor tire pressure, help to keep you from going into a skid and tell you when they are due for service. Anything as complex as the modern automobile will need to be inspected and serviced on a regular schedule. Even if each component was designed and manufactured flawlessly, outside influences and conditions will cause them to wear or become damaged, requiring repair or replacement. Motor vehicles today are many times more reliable than they were as few as twenty years ago, but they need service and maintenance to keep them that way. So investing periodically in the replacement of fluids and filters, along with a thorough inspection to catch wear and damage before a breakdown occurs, can only save you money and give you the peace of mind you want from your vehicle. Call now for your car or truck auto repair appointment.